Brazilian Billionaire: "When It's Bad, I Buy"
Luiz Alves Paes de Barros has made a killing by “wagering on stocks almost no one else seemed to want,” says a recent Bloomberg article. Alaska is a new venture–Barros co-founded the firm in July of 2015—so he’s new at managing other people’s money. The firm oversees about 1.6 billion reais (approximately $490 million), three-quarters of which is Barros’ own cash. 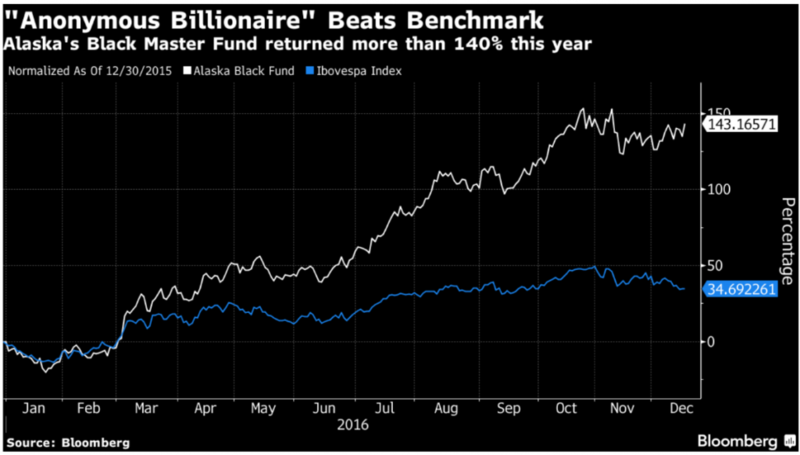 But his investing method hasn’t changed: “He only holds a handful of stocks, favors companies with bottom-of-the-barrel valuations and usually jumps in as everyone else is bailing.” The Black Master fund returned 143 percent in 2016, versus a 33 percent gain for Brazil’s benchmark Ibovespa stock index.